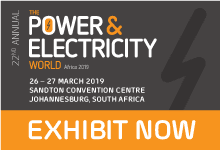 Power & Electricity World Africa is Africa’s largest and longest running power and electricity show. 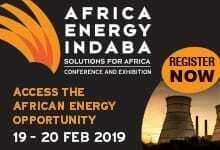 For 22 years it has helped shape the regional energy market through sharing knowledge, educating the market and facilitating influential meetings.The event welcomes over 8000 attendees and hosts a mecca of solution providers spanning 4 halls and thousands of square metres. In 2019 Power & Electricity World Africa celebrates its 22 nd Anniversary. 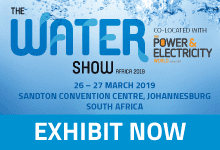 The Water Show Africa is the continent's leading conference and exhibition for water professionals looking to discover the latest services and innovations to improve the delivery of water infrastructure and efficiency in service supply. The show welcomes over 2000 attendees and hosts a mecca of solution providers spanning hundreds of square metres. In 2019 the Water Show Africa celebrates its 12 th Anniversary.